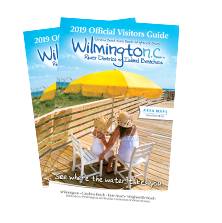 From the river district and Riverwalk that winds around the storied Cape Fear River to three colorful island beaches, there’s something about the water here in Wilmington, NC and our beach towns, Carolina Beach, Kure Beach, and Wrightsville Beach that speaks, surrounds and transforms visitors. 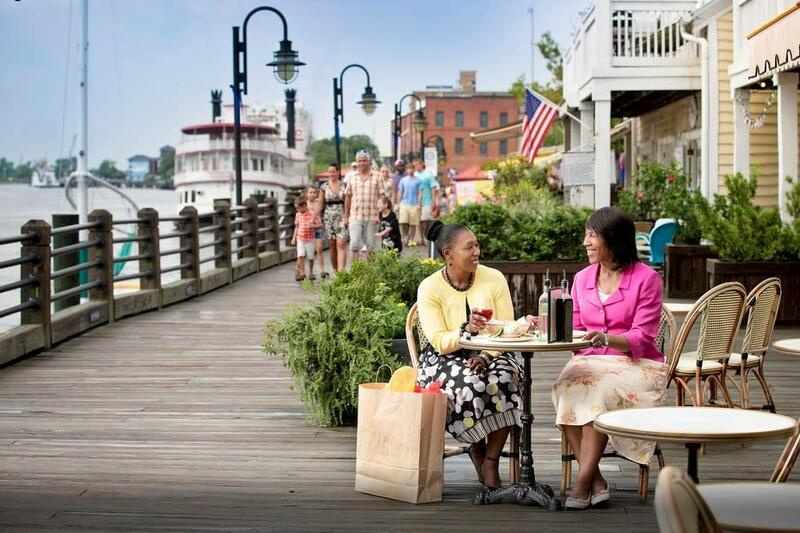 As North Carolina’s most accessible coastal destination, the area’s location, natural beauty, culture and history all charm visitors and residents alike making it the ideal place to get away for a vacation or weekend. One destination and four unique settings . . . from the river to sea . . . create a bounty of extraordinary experiences. 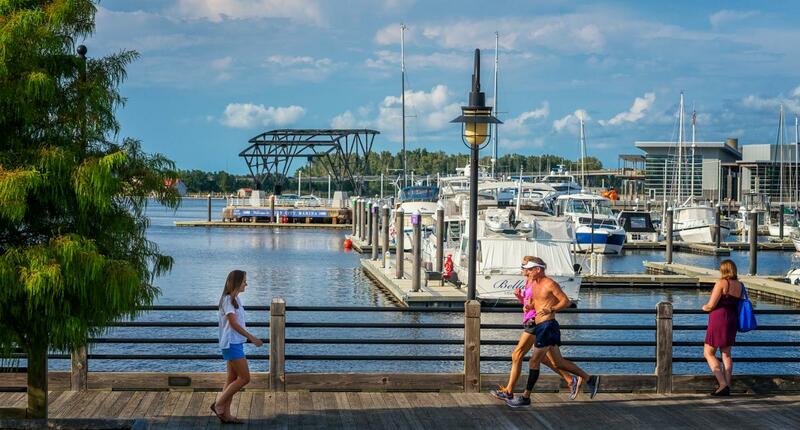 Start your explorations with the Cape Fear River as your guide on the pedestrian-friendly Riverwalk. 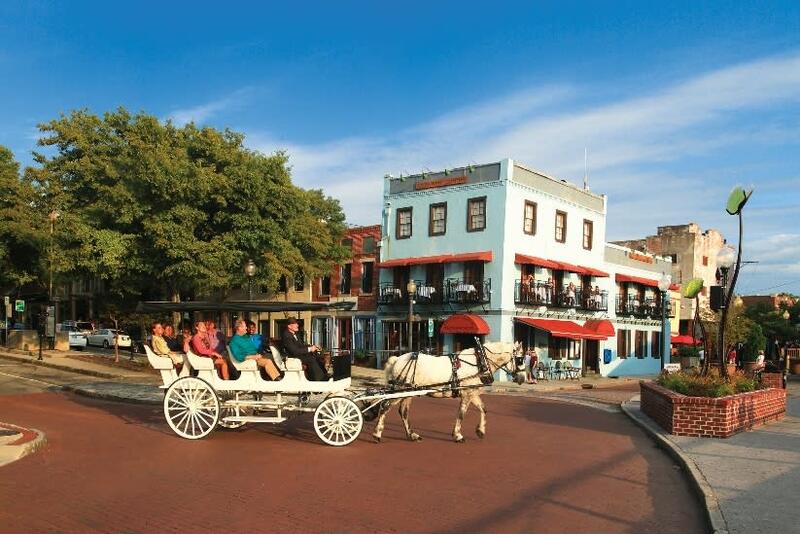 The banks of the river embrace a variety of architectural styles, and moss-draped live oaks line the 230-block National Register Historic District, one of the largest in the U.S.
See the city on a guided walking or Segway tour, or by horse-drawn carriage or trolley ride. Take in the city’s breathtaking river district from the water’s point of view on a scenic cruise. Let the water guide you across the river and aboard the World War II Battleship NORTH CAROLINA, where the distinguished services and sacrifices of sailors live on. 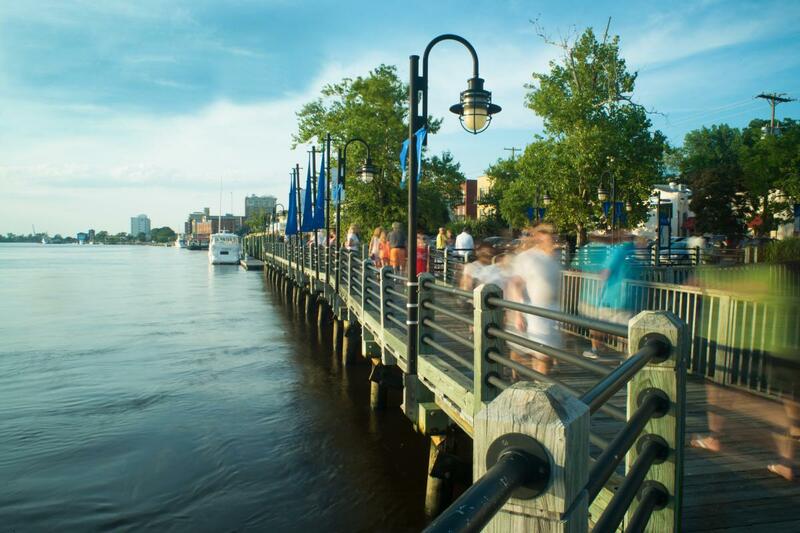 From the click of horses’ hooves on the old brick streets to the rhythm of jazz and beach music festivals, Wilmington embraces a combination of influences from both the past and present. As history moves forward with each exciting new addition, the city mingles Victorian and antebellum architecture with modern design and new attractions like an event pier near the Port City Marina, hotels and restaurants, and a waterfront park – all connected by the scenic Riverwalk making it easy to move around. 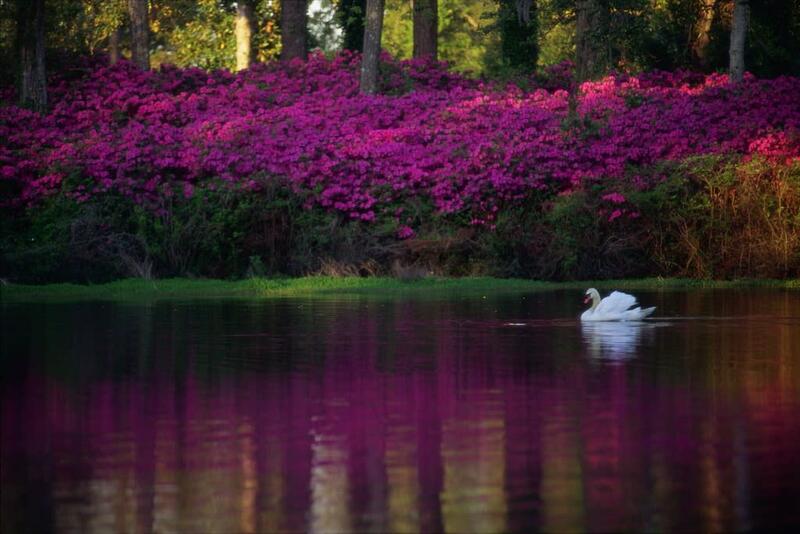 Enrich your artistic spirit through dynamic art or excite your imagination with science exhibitions or surround yourself in a collection of more than 100,000 azaleas under the enchanting live oak branches at Airlie Gardens. With the favorable mild climate, varied landscapes and spectacular architecture, it’s easy to see why Hollywood filmmakers have logged more than 400 film-related credits in the area. 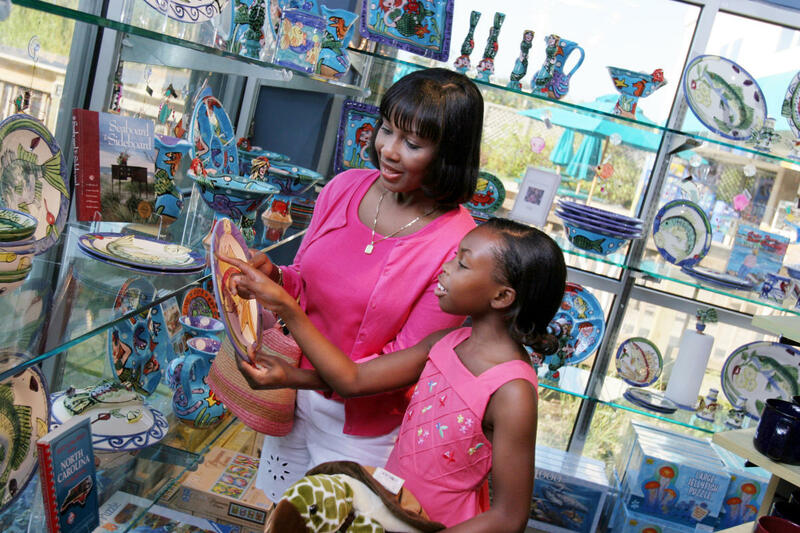 Step foot on a treasure hunt experience in boutiques, eclectic shops and vibrant nightlife venues. Stirring theatre productions in historic and modern venues and the sounds of live music can be found while strolling along brick lined streets. Sit down at the water&apos;s edge, where your palate will be fed - and thirst, quenched - with fresh local seafood and regional specialties at over 40 locally owned restaurants, pubs and breweries highlighting craft beer in downtown Wilmington&apos;s river district, many featuring live music long after the sun goes down. 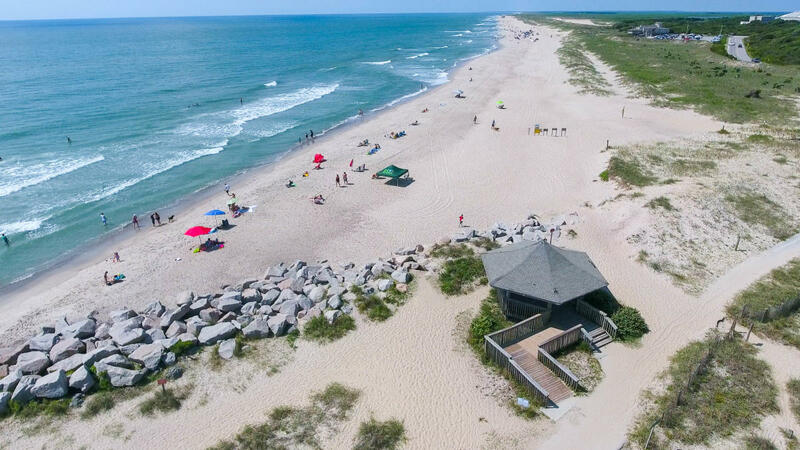 Soak up some island time at Carolina Beach, Kure Beach, and Wrightsville Beach – all no more than 25 minutes apart. Find a fresh catch of things to do from beach to boardwalk with exhilarating deep-sea fishing to new aquarium exhibits, as well as birding trails and interactive adventures at renowned Civil War sites to action-packed watersports and stand up paddleboard tournaments. With so many options for outdoor play both on and off the water and one-of-a-kind festivals and events, each beach offers signature things to see and do and quality time spent with family and friends. Discover top family-friendly attractions and programs from surf lessons at one of the world’s nationally recognized surf destinations to a superhero kid’s camp at area resorts. Fly down the 40-foot- tall waterslide or float the lazy river at Jungle Rapids Family Fun Park. Ride a surrey bike at a beachside boardwalk, nationally-recognized as one of the top boardwalks in the country by USA Today. Discover under-the- sea animals at the North Carolina Aquarium at Fort Fisher, voted one of the best aquariums in the U.S. by the Travel Channel. Kids cherish story time and the playground at the Ocean Front Park.